At EURO 1976, a Slovak defender break the ice. 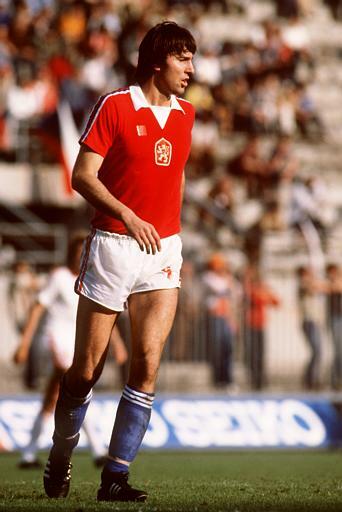 His name, Anton Ondrus, may not say too much for actual football lovers, but it is important to know that this guy, alongside other few lads contribute, in that 1976 to Czechoslovakia’s first and only important international title. It was the last edition at which participated four teams and the first semifinal took place on the 16th of June, between Czechoslovakia and Netherlands. 19 minutes in the game and Ondrus made his own fans, which were at Zagreb (the tournament was once again hold in Yugoslavia), very happy. A qualification in the final was very near but things were far to be settled. In the 77th minute the opposite squad equalized and the game went in extra time. What is more shocking is that the goal of Netherlands was also scored by… Ondrus! Yes, an own goal! Fortunately, the Czechs recovered quickly, scored twice in the last six minutes of the second extra half and assured that their team would play the final. But against RFG it looked like ten times harder. And it was, because after 90 minutes the two were level, 2-2, but Czechoslovakia had 2-0 in the 25th minute. 30 more minutes were added and the score still remained. A penalty shoot-out was coming and Ondrus took in his kick. With 5 out of 5, the Czechs won the title and became the fifth European Champion. After another four years, they didn’t hold their title, but still finished on an honorable third place. Those were exactly the years in which Ondrus appeared for the national side. 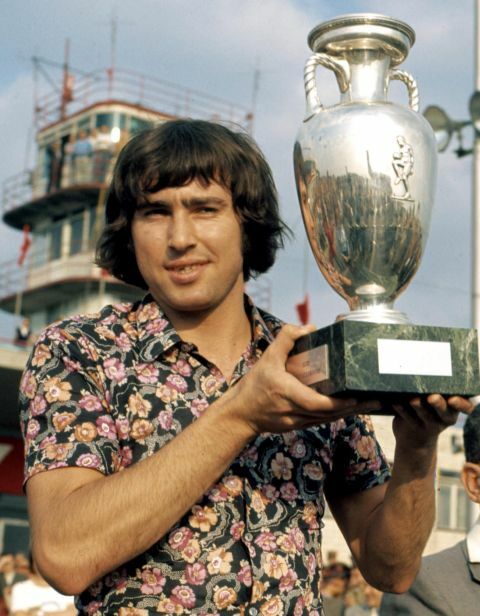 In fact, he made his debute in 1974 and quit the ‘job’ in 1980, after the final tournament. During the six years he gathered 58 matches and scored 9 goals, including the one mentioned above, but missed to play with Czechoslovakia at a World Cup, because they didn’t make it to such a competition in that period. 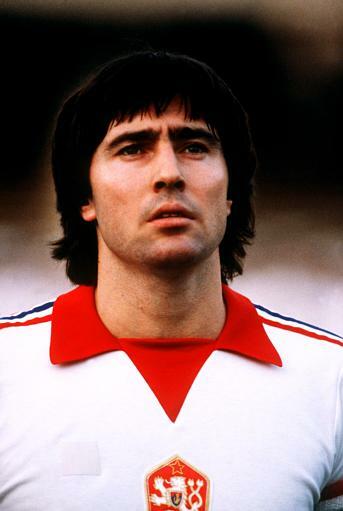 Apart from the national team, Ondrus hadn’t many performances, but still won two national titles (1974 and 1975), one national Cup (1974) and three Slovakian Cups (1972, 1974 and 1976) with Slovan Bratislava, club at which he started football and at which he appeared in two periods: 1970-1977 and 1978-1980. In fact he got only a year of break, when he decided to wear Dukla Banska Bystrica’s shirt. After 1980, he retired from the national squad and left his native country to play abroad. 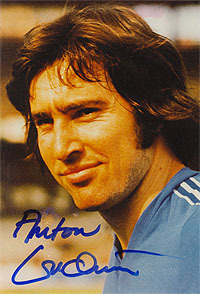 A season in Belgium, between 1981 and 1982, at Club Bruges, wasn’t very successful as he only appeared in seven games. The sweeper then went in France and here, at CS Thonon he played 116 games and netted six goals between 1983 and 1987, reaching the age of 37. The French club wanted in those years to try an historical promotion in the first tier, but lost it at play-off in 1982. After, they struggle in the second division and the 1986-1987 season was their final in this tier, as they finished 16th and relegated. Retired for one year, Anton went on playing another season, between 1988 and 1989 at FC Biel, of Switzerland. The Swiss squad also relegated at the end of that stage, this time from the top flight, which was a sad thing if we consider that the team founded in 1896 has won a national title in 1947 and finished second twice (1948 and 1960). Photo sources: czechsoccernet.cz, slovakfutball.com, futbal.sme.sk. Acest articol a fost publicat în Campioni și etichetat 1974, 1980, 58 games, 9 goals, Anton Ondrus, Belgium, Club Bruges, Club Brugge, CS Thonon, Czechoslovakia, Dukla Banska Bystrica, EURO 1976, EURO 1980, FC Biel, France, Slovakia, slovan Bratislava, Switzerland. Pune un semn de carte cu legătura permanentă.